Januaris is a professional painter and author of painting guides. He has been painting houses and other structures for more than 13 years. Peeling paint significantly lowers the attractiveness of a building. It can turn a beautiful house into a rotting structure, a clean bathroom into an unsanitary mess. And, if the peeling happens on the interior walls or ceiling, it can even cause health issues for the occupants; falling paint chips can be harmful if they land in your eyes, and breathing in paint dust can irritate your lungs. 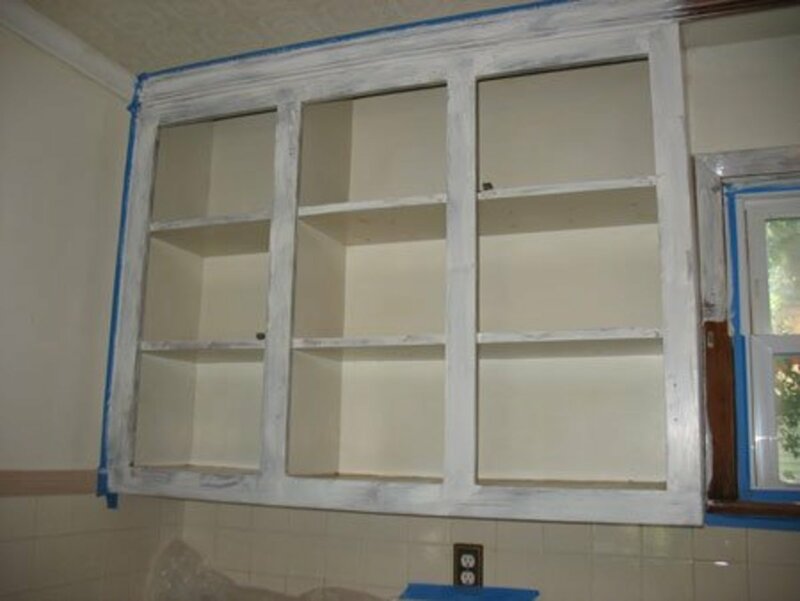 Paint can start to peel a few days to several years after applying a fresh coat of paint. It is common on drywalls and old plaster ceilings, but bathrooms, wooden decks, trims, sidings, and window frames can also be affected by this problem. 1. Your painted surface is exposed to a lot of water. Water is the primary cause of flaking paint on bathroom walls and ceilings, as well as on exterior walls. When water penetrates through the coats of paint, it causes the layers to separate and detach from the surface. This results in bulging, cracking, and finally, peeling. The water can originate from a leaking roof, gutter, flashing, or soffit. It can also be the result of a permeable wall allowing water to penetrate to the inner surface, or even from splashes of water in the washroom. 2. The wall or ceiling is in an environment with high humidity and excessive condensation. 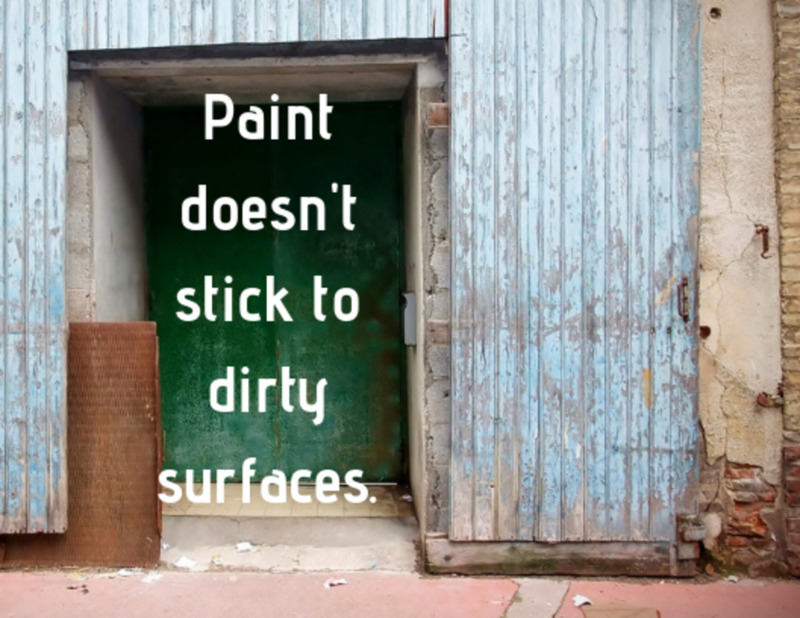 In poorly ventilated buildings, these two factors are the main causes of flaking paint. High humidity causes a moisture build-up on the walls, which leads to the blistering and bulging of the coatings. The end result is cracked and chipped layers of paint. On the other hand, condensation leads dampness, an environment that favors the growth of mold and mildew. These fungi cause the layers of paint to lift up and flake. Condensation, which usually occurs during and after a rainstorm, can also ruin new coats of paint. 3. The surface wasn't properly prepared for painting. 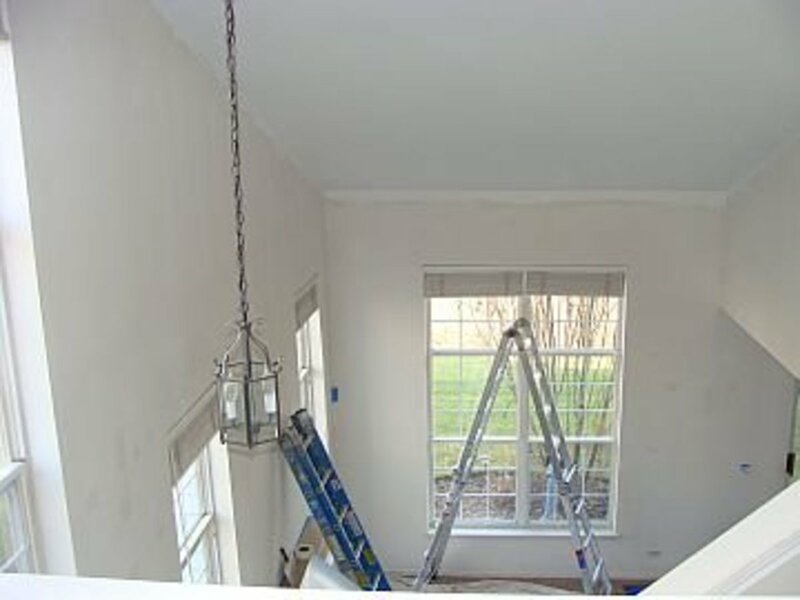 For a coat of paint to stick properly, the surface should be adequately prepared. If the paint is applied on an uneven or unprimed surface, it won't take long before the paint begins to blister and peels. Other factors, such incomplete joint compounds and improperly placed seam tapes, can also hinder the paint from sticking properly. 4. The surface was dirty before painting. Paints do not stick to dirty surfaces. Dirt, grease, and oil prevent paints from adhering properly to wooden, metallic, and even concrete surfaces. If the paint is applied on an extremely dirty surface, it will immediately begin to bubble and bulge, causing the coats of paint to fall off. Make sure to wipe the surface down before painting it. Even if you do not see anything dirty about it, something as imperceptible to the eye as dust (such as that left over from freshly sanded drywall) can hinder paint from sticking properly. 5. The surface is exposed to high temperatures and intense sunlight. Paint doesn’t adhere quite well to surface with temperatures above the standard atmospheric range. High temperatures cause the paint to dry faster, preventing the layers from forming strong bonds. On the other hand, intense sunlight makes oil paints fragile and vulnerable to cracking. Both latex and elastic paints expand and contract when exposed to the sun, weakening their adhesive bonds. 6. The type of paint used was incompatible with the material of the surface. Some surfaces contain substances that react with paints, hindering compatibility. For example, new or poorly-cured woods produce natural oils that prevent effective paint adhesion. 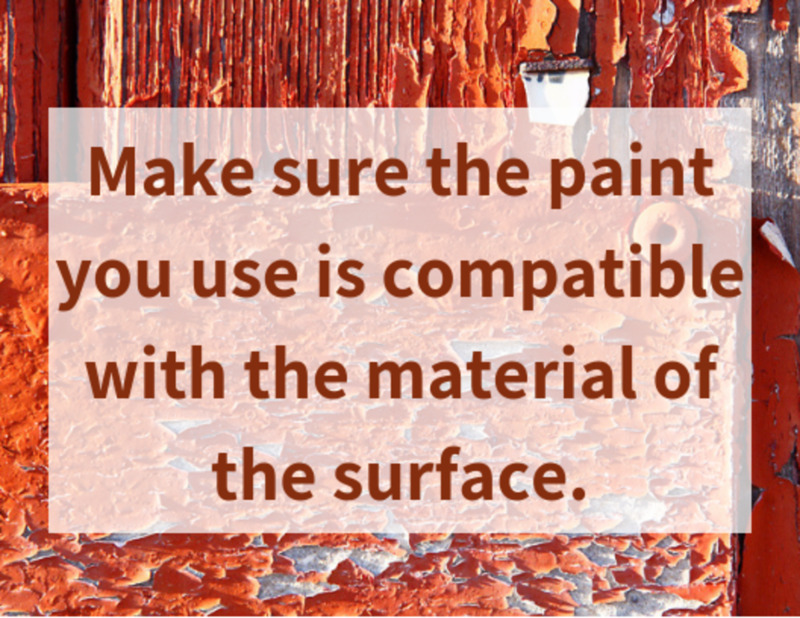 Smooth or glossy surfaces also have compatibility problems with some paints. These types of surfaces are unable to form a mechanical adhesion with the paint, and so any layers applied to them flake off immediately. In addition, some synthetic polymer materials can hinder the coat of paint from achieving full adhesion. The incompatibility problem is worse if the polymers are chemically cured. Some good examples of these materials are epoxy and polyurethane. You have to make sure that the type of paint the surface type are compatible. For example, oil-based paints are affected by concrete and galvanized steel. These materials have chemicals that react with the pains, breaking down the adhesive bonds and weakening the layers. 7. Different types of paint were used on the same surface. Some paints do not bond together well. If these different types of paint are applied together on the same surface, peeling occurs. Oil-based paints do not work properly when applied over latex ones and vice versa. Make sure to use the same type of paint on each layer. What's the difference between oil-based and latex paints? Oil-based paint is made with either alkyd or linseed oils. It is more durable than latex paint and tends to apply in a smoother coat. It is usually used on areas that take a lot of abuse, such as doors, windows, and trims. However, it tends to yellow or crack over time. It is also very pungent, so if you are sensitive to smells you might want to hire someone else to do the painting for you. Latex paints, also known as water-based paints, are easier to work with than oil-paints and dry more quickly, but they are not quite as durable. They work best used on general areas, such as walls or ceilings, and are easier to clean than oil-based ones. 8. There are too many layers of paint on the wall or ceiling. If too many layers of paint are applied to a surface—especially the ceiling—the coating becomes heavy and can end up falling off. If there are no strong adhesive bonds to support the weight of the layers, the coat of paint will fall off immediately. 9. The surface was painted with low-quality paints. Some paint brands are really poor in terms of flexibility and adhesion. Low-quality paints do not dry or stick properly, and they'll start to peel after a short period of time. For example, most paints that contain calcimine are not very good. You want to choose a paint that has a lot of pigment, resin (what makes paints stick), and fewer solvents (such as water). 10. The wrong type of paint or primer was used. As mentioned above, different paints are designed for different surfaces. Some are designed for wooden or plastic surfaces, while others are created for metallic or concrete surfaces. This means that using a wrong paint can lead to peeling. Similarly, there are different primers available for wooden, metallic, concrete, and plastic surfaces. These substances are also designed to be used with different kinds of paints, so using the wrong primer can also lead to peeling. In the 14 years that I have been painting, I have come across many primers, most of which were of poor quality. They couldn't seal surfaces properly, and peeling would occur immediately after painting. However, I have come across a few high-quality primers that made my job much easier, such as the Rust-Oleum Zinsser Bulls Eye Sealer, which is suitable for all kinds of surfaces. 11. The surface was painted using expired paint. Like other chemical products, paints expire after a certain period of time. Some paints separate, others grow mold or mildew, and others freeze. Water-based paints stored in a tin can will cause the can to rust over time, which also ruins the paint. If your paint exhibits any of these signs or smells abnormally bad, then it is expired—by using it, you should expect to face a flaking problem. 12. The surface is exposed to corrosive substances. There are many substances that can corrode a painted surface. If a corrosive substance comes into contact with a painted surface, it causes the coat to blister, crack, and finally peel off. Corrosive substances usually contain a strong acid or base. This is why you should not clean the walls of your home with bleach or another highly acidic product—make sure to dilute it so that it doesn't ruin the paint. 13. The surface is in an extremely dry environment. 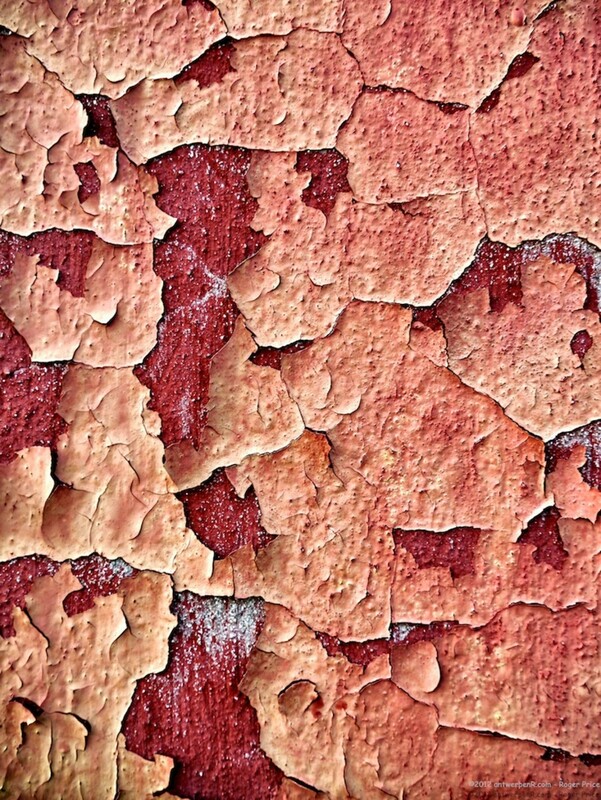 According to my research, extreme dryness can also cause peeling paint. This environment prevents the formation of the strong adhesive bonds that allow the innermost coating of paint to stick to the surface properly, and thus makes a new coat fail. 14. The surface was not painted properly. Using poor painting methods, such as using the wrong brushes and applying very thin layers, can make a coat of paint fail to adhere to the surface. These two methods do not promote the formation of the strong cohesive bonds that hold paint molecules together. They, therefore, contribute to weak layers that are vulnerable to cracking and chipping. Though there are many brushes to choose from, most are unreliable—after a while, they'll break or the bristles will start to detach. If you are looking for a durable brush, I would recommend that you go for the Shur-Line Premium Brush. I have been using this tool for more than two years and it has never shown any signs of breaking or wearing out. 15. The coat of paint is too old. With time, the cohesive bonds of a coat of paint become stronger than the adhesive bonds. This causes the layers to detach from the surface. Other paints lose bond strength and become brittle with time, which subjects them to cracking and chipping. Surfaces need to be repainted every so often to keep the building and its interior looking neat and clean. How often it needs to be repainted depends on the type of surface—for example, wood exteriors need to be repainted every 3–7 years, while aluminum should be repainted every 5 years. What Is the Difference Between Bubbling, Cracking, and Peeling Paint? 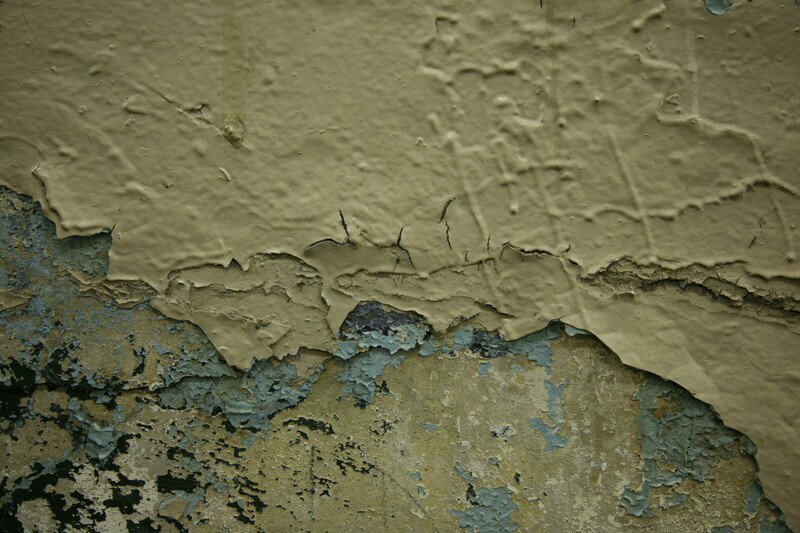 Depending on the state of the building, the deterioration of the paint may take appear in one or all of the following ways: cracking, peeling, and bubbling. Bubbling, cracking, and peeling are different faces of the same problem. Cracking paint is the start of the process—it’s a clear sign that the paint job will start peeling or flaking eventually—whereas bubbling occurs when the coat of paint loses its adhesion and lifts away from the surface. Peeling occurs when paint simply can't hold on to the underlying layer, or as a continuation of prior bubbling or cracking. Any of the reasons mentioned above can result in bubbling, cracking, or flaking paint, so be sure to avoid recreating any problems while repainting your home or office. If you feel like you might have trouble fixing it yourself, hire a professional. 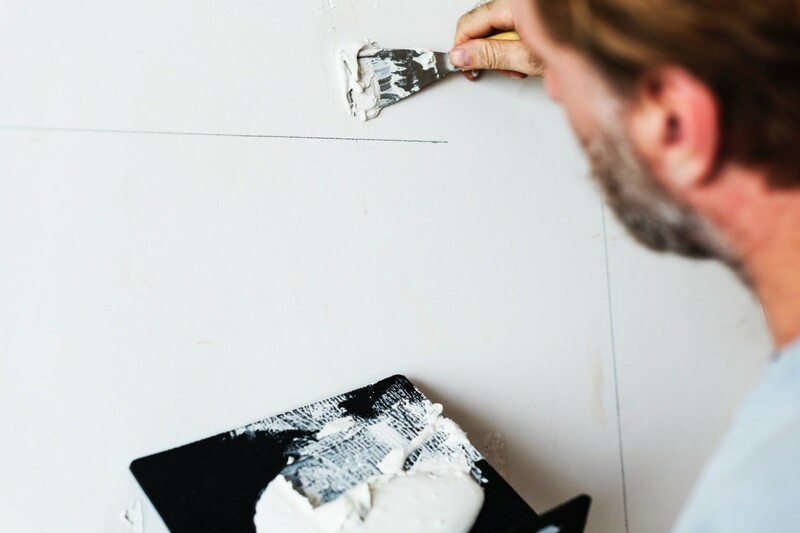 Luckily, peeling paint on your walls and ceilings can be fixed—it's simply about removing the old coat and applying a new one, this time correctly. Always make sure to exercise adequate safety precautions and to use the proper tools. Wear the appropriate clothes for working with paint. Protect your eyes from falling paint chips by wearing safety goggles, and where a dust mask to stop yourself from breathing in paint particles. Prepare the space where you need to remove the paint from. This means that, if the wall or ceiling is indoors, you must remove all furniture or carpets from the room and cover the floor with a drop cloth or a rag. Cover the edges of doors and windows with masking tape to protect them. 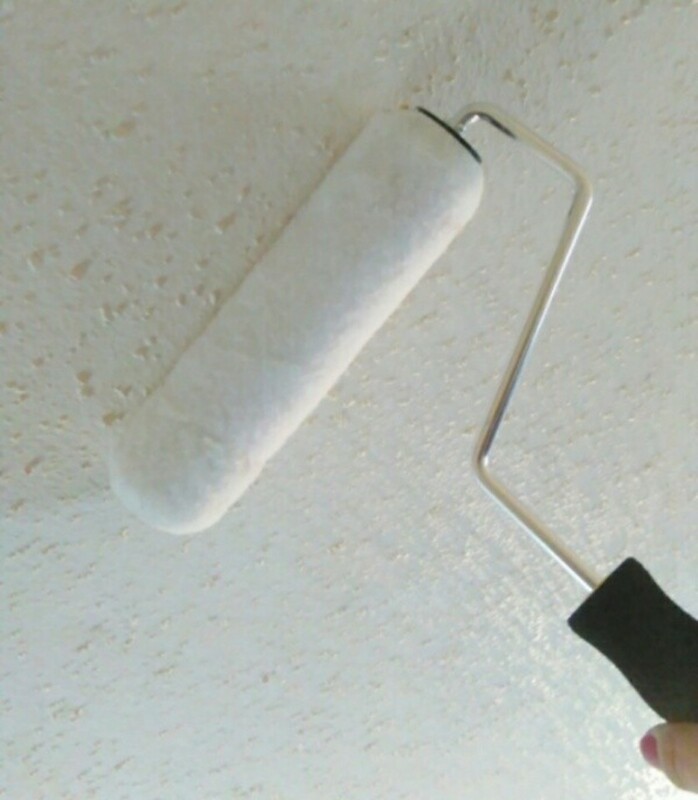 Remove the old coat of paint by using a paint scraper or wire brush. Use a putty knife on any especially tough layers you might come across. Prepare the surface for a new coat of paint. This means fixing any cracks and holes you may find, smoothing down any uneven areas. Also, make sure to wipe down the area with a damp cloth—you want to make sure to paint on a clean surface. Prime the surface. Make sure to use the right type of primer for the paint that you'll be using. Get to painting! 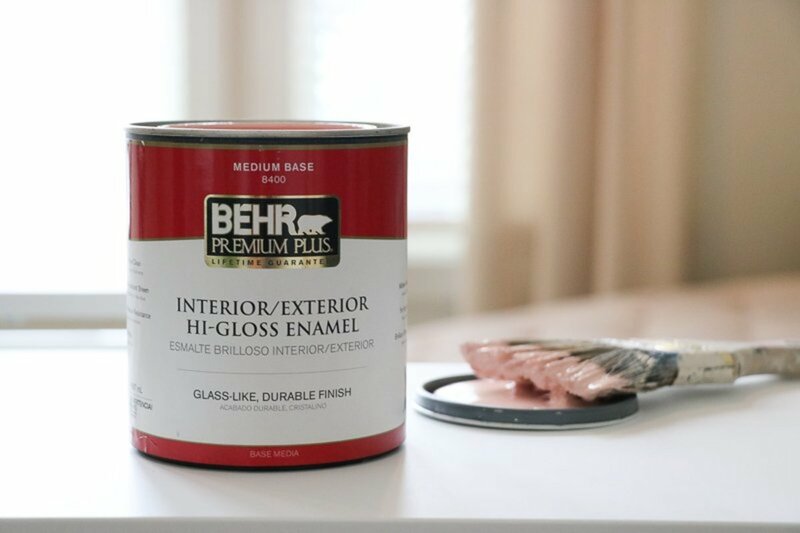 You may need to apply multiple coats to get your desired result, so be sure to follow the directions on the can so that your paint comes out looking exactly how you want it to. Do you think you can fix this flaking, cracking paint on your own? Bayer G.T., Zamanzadeh M. "Failure Analysis of Paints and Coatings.". plant-maintenance.com. Plant Maintenance Resource. (PDF). (2004). Cassens D.L. "Paint Failure Problems and Their Cure.". fpl.fs.fed.us. Forest Products Laboratory. (PDF). (2005). Paquette E., Poulin P., Drettakis G. "The Simulation of Paint Cracking and Peeling.". profs.etsmtl.ca. Ecole E Technologie Superieure. (PDF). (2002). Bowron G. "Common Paint Problems.". guthriebowron.co.nz. Guthrie Bowron. (PDF). (2014). Heffer P., Lee B. "Braving the Elements: Analyzing the Weathering Performance of Chromate-Free Coating Systems.". sciencedirect.com. Science Direct. (PDF). (2005). A few years ago, we had all wooden surfaces painted with a matte paint that was not suitable for wood. Inevitably, cracks have formed everywhere. Do we just thoroughly sand the painted surface before applying an undercoat and the gloss paint for wooden surfaces? Yes, you need to sand! You can't just apply new coats on those loose fragments. The paint in the corner of my room is chipping and somewhat bubbling (the corner of the wall is somewhat soft), I can push through it by tapping on it with an object. I am unsure if this is from a bad paint job (even though paint looks nicely done) or water/mold damage (despite no visible signs of such)? Corners can be hard to paint, so it could be due to poor painting. But you can continue checking for other possible reasons. The paint on our bathroom ceiling and some part of our room walls are peeling off. I'm almost certain that the cause is water from our neighbor's bathroom upstairs. Water from their bathroom somehow finds its way to the walls which eventually peels off of the paints. The problem really is that it's almost impossible to fix the leakage due to the way the house was built. Is there any way we can paint the wall such that it prevents the peeling for as long as possible? You can try purely oil-based paint and use a high-quality primer and sealer when painting. For the best repainting practices, see related articles on this page. On my bedroom ceiling, there is one small part of mat paint. It was painted four years ago. Why has this paint peeled? It could be one of the reasons in this article, but most likely water seepage or incompatible surface. One wall in a bedroom has peeling paint. This particular wall is an exterior wall, but the same wall on the lower level is fine. What could be the problem? It is highly likely to be a leaking roof, gutter, etc. I am painting my walls, and bubbles are appearing. What does it mean? It's not being painted accordingly, and it may peel off at any time. 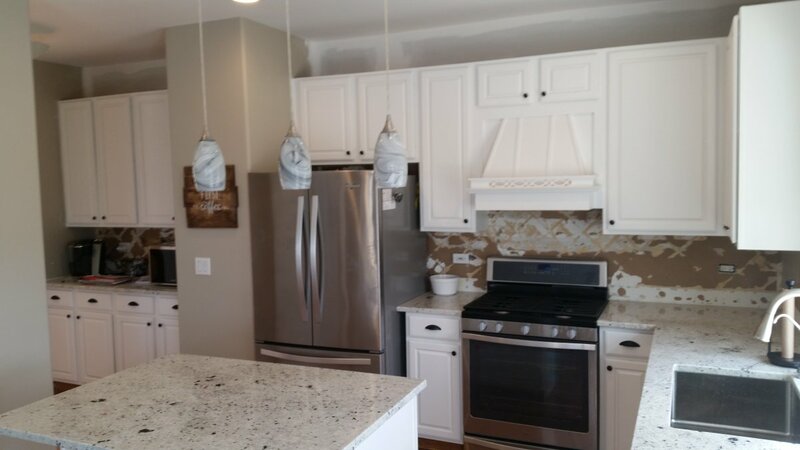 I had professional prep surfaces and paint exterior woodwork of house using latex paint. Less than 2 years later, paint is peeling - all layers, almost popping off, down to the wood. House is 50+ years old but well-maintained. Why is this happening? 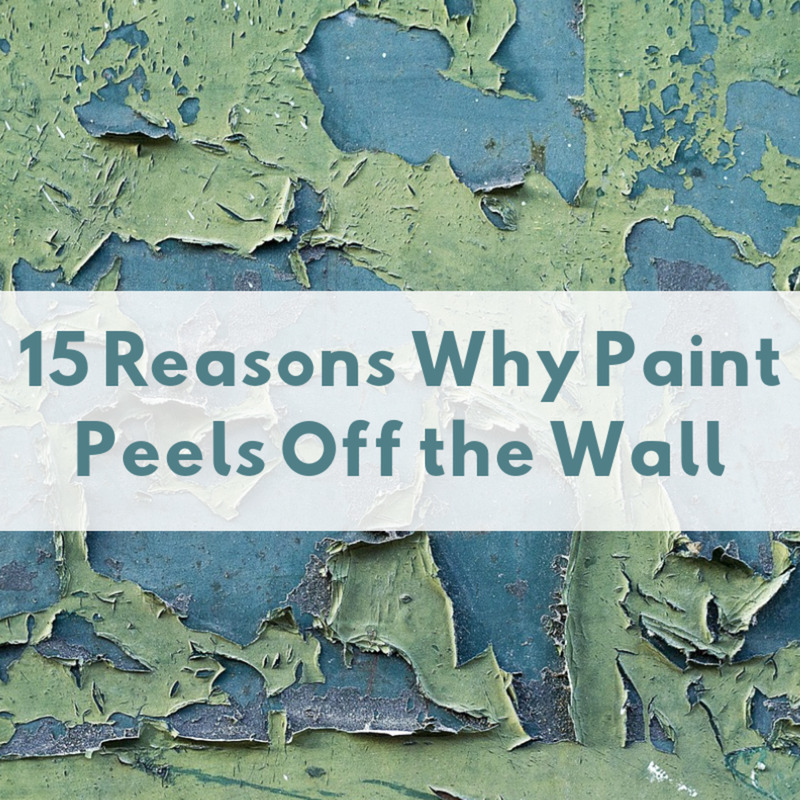 Paints peels faster on wooden surfaces, especially if thick players were applied. Other factors described in this article might have contributed to the problem. The paint is peeling off the previous coat of paint on my outside wall. What is the solution? It is highly likely to be caused by weather conditions - too much sun, rainfall, etc. You need to protect fresh paint from these conditions. My hall was papered with lining paper a few years ago. We had no problems until a few weeks ago when about 12 ins of the wall started to flake. I sanded It down and reemulsioned the lining paper. The hall was ok for a week, but it has happened again. The wall is not damp. How can I stop my lining paper from peeling again? The paint is peeling off the inside of my windows around the sides. What do I do about it? Can I just repaint it? I live in a flat. Part of my bathroom ceiling is exposed to the cold weather so there is high condensation in just this area and so the paint peels. The rest (2/3's) of the ceiling is fine. What suggestion do you have to get my paint to stop pealing? You can try preventing the area from condensation. Allowing air in to drive out moisture or using heaters can help. You can also try repainting the area and coat it with a sealer. After priming the exterior-facing wall in the 1970s apartment we just moved into, we noticed that the paint seemed to be bubbling/peeling along the top edge- as if all the old layers of paint were loose from the concrete base. We used latex primer/paint, as was most likely used before. Is it a case of too many layers? What should we do if we don't have a lot of money or know-how? It looks like the peeling is due to old age, so there is nothing much you can do about it. You can either remove the peeling layers and leave it that way or remove the layers and apply a new coat. If you can afford paint, see some related articles on this page to learn how to remove the old paint and repaint. I’ve recently noticed that there are bubbles/blisters appearing on the ceiling and walls in my toilet. The room hasn’t been painted recently. Does anyone know why this might occur? I recently replaced my windows and put in sealed Marvin units. However, I just noticed big water-filled bubbles between the old and new paint layers, one being nearly 7 inches across. The painter suggested it could be from water trapped in the wall due to earlier dampness that is just now coming out in the sun. This doesn't sound right to me, it's been raining a lot and I think water is getting in somewhere else. What do you think is best to do? My flat is about 9 years old. The paint on the walls is continuously peeling off due to exposure of salts. Would you happen to have any advice to avoid this issue so that when it's repainted, it will last longer? Well, you will have to deal with the salt exposure (prevent it), and after that, you can repaint following the right painting practices. See how to repaint from the related articles. There's an area of paint on our interior plaster wall where the latex paint is sticky and peels when scraped. The plaster beneath is sticky as well. (not sure if the paint is sticky because of the plaster or vise-versa. Anyway, I'm wondering; why and is there a sure fire way to fix it? Maybe the area is exposed to heat, water or some chemical. You can just check it carefully. I got my living room ceiling plastered in June and left it for over a week to dry. Last night I heard a cracking sound then a large piece of paint fell to the floor leaving a huge space in the ceiling where it had been. Why would this happen? I hope you mean painted instead of plastered. This is highly likely to be due to a poor painting method - more layers or thin layers were added instead of one thin layer. The paint on my bedroom door frame is peeling off, and my landlord says it is a result of banging doors so I am liable to fix it. Could banging doors really cause paint to peel off? For this to happen, then the paint coat should be weak. Banging a door can't cause peeling on a well-painted surface. We just did a renovation. The guy at Benjamin Moore said we did not need any primer because the paint we bought had primer in it. This was new drywall we were painting. Now we find the paint comes off fairly easy. How can this be fixed? First, you need to get a high quality paint that can resist moisture. Second, you need to paint when the surfaces are dry with the right brush or roller. You may need to include a primer. See related articles on this page to learn more about the process. @Tara There could be some substances reacting with the paint, or the paint is just a poor quality one. What is the reason for paint to change its colour and also the cause of black patches on painted concrete walls. It looks like the coat is not adhering properly to the surface, and yeah, your painter could be fixing it when the paint is still wet. I have an issue with a new house we moved in where putting plastic tape in some wall areas and then removing the plastic tape pulls out the paint. It’s 3M Scotch, we are no talking about Duct tape. Painter told me this is normal but other people tell me most probably the painter didn’t wait until the surface was dry enough. Yeah, the peeling is being caused by the leaking water/moisture. Then there is formation of mold/mildew and cold conditions which are affecting your health! Get someone to fix the leaking part and repaint your ceiling. One or more of the reasons discussed in this article! Wall outside bathroom which is a interior wall of living area has paint clipping of issue at the bottom of the wall. What could be the reason ?